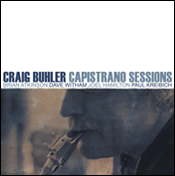 “Craig Buhler’s Capistrano Sessions is a light jazz feast for the ears. The gentle humming of Buhler’s clarinet and alto sax are met with the wailing of Brian Atkinson’s trumpet to make a beautiful album of standards. Though, it should be cautioned, this album is not meant for the unacquainted. 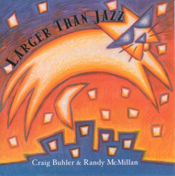 Only true jazz aficionados will appreciate the riffs and chords. 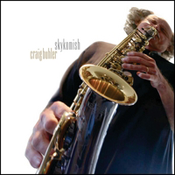 This is not meant to sound elitist (especially since I myself am not a jazz aficionado), but there seems to be a deeper appreciation for these tunes when they’re heard on trained ears. 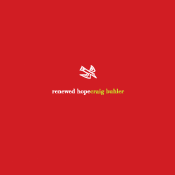 The album begins with “Lookear,” a great introductory song for an 11-track album. It winds its way through melodies and jazzy beats, culminating in a nice crescendo after its four minute and 30 second running time. This song leads right into “Capistrano” and “Rivers,” two beautiful songs that are wispy and remind the listener of sitting in a club with the smoke turned up high and music in the air. Or is that the other way around? The accompaniment on the album shouldn’t be understated either. Dave Whitam contributes some excellent piano music. Joel Hamilton plucks away on bass, while Paul Kreibich is in control of percussion. The winner of the bunch is Kreibich with his slow methodical tapping on the drums. When listening to the album, try and close your eyes and zone out the rest of the instruments – just focus on Kreibich’s percussion. You will realize that his mastery is the glue to nearly every song.